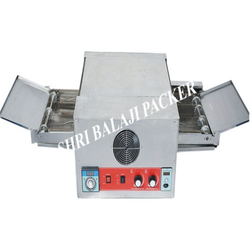 We have been counted amongst the most trusted names in this domain, engaged in providing Conveyor Pizza Oven. • Compact design with stainless steel structure. • Top and bottom heating elements. • With individual temperature control. • Easy handling for front or rear discharge. We are a credible market choice engrossed in the business of offering to our customers a world class Conveyor Pizza Oven.